Members of the ruling elite in North Korea are suspected of launching two scams aimed at exploiting gullible crypto investors still attempting to get in early on a potential moon shoot. The totalitarian state is thought to be using such schemes to stay afloat in the face of international sanctions. In a revealing report into the browsing habits of those few North Korean government officials allowed to use the global internet, cyber-security intelligence gathering company Recorded Future state that they believe North Korea to be behind at least two scams aimed at duping cryptocurrency investors. The document gives insight into the period between March 2018 and August 2018. It is the final piece in a wider series of reports covering earlier dates. The first scam was the creation of a proof-of-stake coin called “hold” that successfully “left investors high and dry” through central control of the staking algorithm. “Hold” has also been known as other names including “interstellar” and “huzu”. The currency managed to hit a few exchanges, but was later delisted. The Recorded Future report believes with “low confidence” that North Korean senior government members are behind the scam. Also attributed to North Korea is a fraudulent ICO called Marine Chain. The premise of the token is that it is backed by real assets – in this case, maritime vessels. Analysis of the Marine Chain team has all the hallmarks of a classic ICO scam – minimal online presence and barely known developers provide two immediate red flags. The researchers at Recorded Future were only able to find the history of one of the team members, Captain Foong. Foong has been linked with two Singapore-based companies that “have facilitated illicit activity on North Korea’s behalf and that have dealings with UN-sanctioned entities”. The report’s authors therefore believe with “high confidence” that the Marine Chain scam ICO is the work of North Korea’s elite. The document goes on to reveal a further network of operatives believed to be aiding the North Korean regime. There are thought to be outposts in Nepal, China, Russia, India, Bangladesh, Mozambique, Kenya, Thailand, and Indonesia. Also of interest in the report was the observation of the increased sophistication of the unknown number of North Korean elites’ browsing habits on the global web. The authors acknowledge a growing use of privacy-focused technologies such as VPNs and onion routing (TOR). There is a pronounced spike in the use of such tools followed by a dwindling that seems to have settled at a higher rate of use than previously reported. The authors attribute this pattern to a warning from above to increase privacy in the face of greater international scrutiny into the internet use of the rogue state. Finally, the report’s authors state that North Korea continues to mine both Bitcoin and Monero. No figures about the regime’s efforts to gain freshly minted cryptos are currently known, but said operations are believed to be small scale. 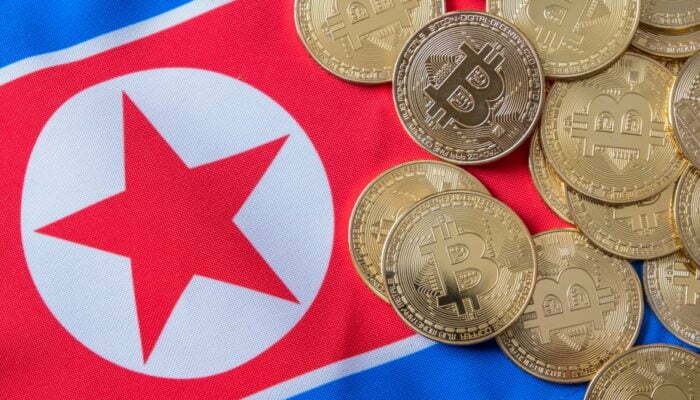 Previously, NewsBTC has reported on a number of scams thought to be North Korean efforts to evade international sanctions using cryptocurrency. However, these have largely been aimed at exchanges or users in the form of cryptojacking malware. The scams outlined in the Recorded Future report show a shift towards exploiting the investor greed that the space has attracted in recent years. Report: North Korean Elite Behind Scams Targeting Crypto Investors was last modified: October 26th, 2018 by Rick D.